Millennials aren’t just putting socially responsible investing on the map — they’re changing the playing field for all investors and demanding more from corporate America. When you think about making an impact with your money, what comes to mind? 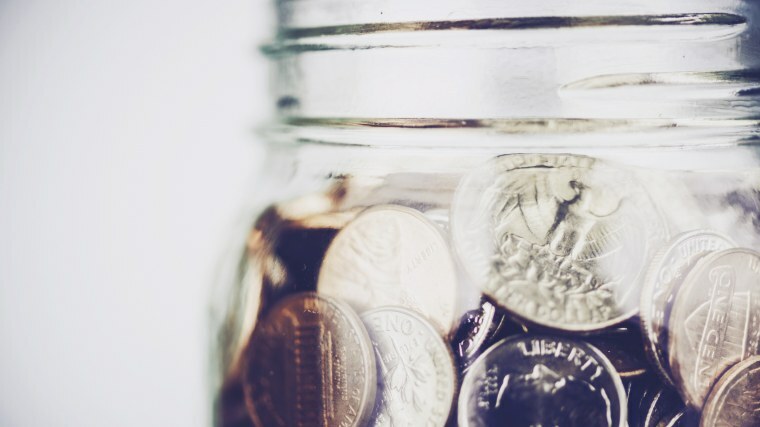 There are always philanthropic efforts you can support, but what about investing your money in a way that makes a social or environmental impact, while also making you a profit? Often called “ESG investing” (environmental, social and governance), “SRI” (socially responsible investing), “CSR investing” (corporate social responsibility) or simply “impact investing,” the concept has been around for years, but millennials are charting new territory when it comes to doing good with their money. Today, 43 percent of millennials are more likely to consider making impact investments versus only a third of Generation Xers and a quarter of Boomers. When those surveyed were asked what’s more important — making money or making an impact — the majority of all investors (67 percent) said they would prioritize having an impact. “They aren’t saying, ‘I’m willing to lose money,’ but they are saying, ‘Even if I have to get a slightly lower return, I’m okay with that to improve social issues and company governance,’” says Lule Demmissie, managing director of investment at TD Ameritrade. The Global Impact Investing Network reported that nearly $140 billion was invested in impact investment strategies, up from just $10.6 billion in 2014 — a staggering increase. Except that, they often don’t. Impact investments have outperformed the benchmark for eight out of the last 10 years, according to the MSCI ESG Leaders Index. During the same period, impact investments also showed they were better protected from the downside in the market. That’s why even people who aren’t so passionate about saving the world may want to get on the bandwagon (and why the bandwagon is turning into quite the parade.) In May, the Global Impact Investing Network reported that nearly $140 billion was invested in impact investment strategies, up from just $10.6 billion in 2014 — a staggering increase. Additionally, impact investment network Toniic reports that its members now have $2.8 billion total in impact investments, up more than $1 billion since 2016. “As the industry continues to grow and mature, we believe that over time, there will be no 'impact' investing — it will simply be investing,” says Michael Tiedemann, CEO/CIO of Tiedemann Advisors. So, where are people putting their money? Human rights was the most popular cause category for investors, followed by the environment and diversity, according to the survey. Millennials favored environmental impact and human rights, women tended to opt for gender equality, while men leaned toward diversity. Nearly half of millennials — 47 percent — felt so strongly about impact investing they said they would move their brokerage account to gain broader access to socially responsible investments. Of course these conscious choices aren’t just impacting portfolios — publicly traded companies are starting to realize that it’s good for their business to give a more critical look at which suppliers they’re using, or how much of an environmental impact their operations may make. “In some cases, companies are changing their behavior, and you can give investors the credit for the rapid momentum of those changes,” Demmissie says. For investors looking to ensure their money supports the “best” companies, Farris cautions that the definition of what makes a company responsible can vary widely. Overall, it’s any company that is incorporating “positive environmental, social and governance practices into its core business model,” he says. But investors can also have an impact simply by choosing not to invest in companies that are involved in major controversies, that pollute, or that manufacture tobacco or firearms, etc. How Do You Do Well By Doing Good? If millennials have proven nothing else over the last decade, it’s that they’re willing to push boundaries, even when — perhaps especially when — it means a break with convention, and that’s exactly what we’re seeing with impact investing, Tiedemann explains. “They’re questioning the traditional view of making investments to create wealth, and then once they've made money, donating it to their charity of choice.” They’ve decided they want to get the double investment benefit of a social and a financial return, and they’re demanding that the marketplace provide it. And while it may be the millennials leading this charge now, they’re really just the thin end of the wedge, Kovacevich says. “Millennials are going to teach their children the same ethics and values that they have,” he says, and the impact investment train is only going to build momentum as it chugs along. Tomorrow’s companies will either choose to hop aboard, or find themselves left at the station.